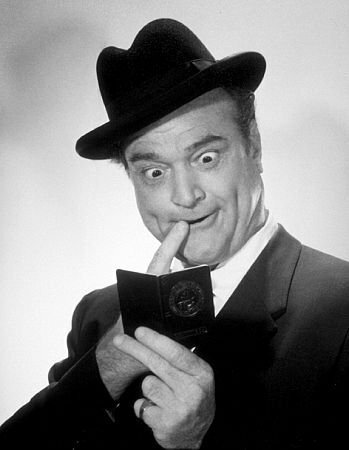 Today in Masonic History we present The Pledge Allegiance by Red Skelton. On January 14th, 1969, Brother Richard Bernard "Red" Skelton told a story about one of his teachers from when he was in elementary school on his television show. The teacher noticed that as the school year had progressed on that the students seemed to be just going through the motions of saying the Pledge of Allegiance. So the teacher reminded the students of the importance of the words by defining for them what each on meant. Below is an exert from the rendition that Red Skelton gave. I - "Me, an individual, a committee of one." Pledge - "Dedicate all of my worldly goods to give without self pity." Allegiance - "My love and my devotion." To the flag - "Our standard, Old Glory, a symbol of freedom. Wherever she waves, there's respect because your loyalty has given her a dignity that shouts freedom is everybody's job!" of the United - "That means that we have all come together." States - "Individual communities that have united into forty-eight great states. Forty-eight individual communities with pride and dignity and purpose; all divided with imaginary boundaries, yet united to a common purpose, and that's love for country." And to the Republic - "Republic. A state in which sovereign power is invested in representatives chosen by the people to govern. And government is the people and it's from the people to the leaders, not from the leaders to the people"
For which it stands, One Nation under God -"One Nation, meaning 'so blessed by God'"
Indivisible - "Incapable of being divided." With liberty - "Which is freedom -- the right of power to live one's own life without threats, fear or some sort of retaliation." And Justice - "The principle or quality of dealing fairly with others." For all. - "For All. Which means, boys and girls, it's as much your country as it is mine." Whether reciting the Pledge of Allegiance on the celebration of our nations independence or reciting ritual in a masonic lodge the meaning of words must be understood to have importance.